We've featured this project before, but the roof is complete, and it's too nice not to show off again! DaVinci Slate in the Vineyard Blend was first installed on the addition built on a couple of years ago and for a while the home had both natural slate and synthetic slate tiles on it. 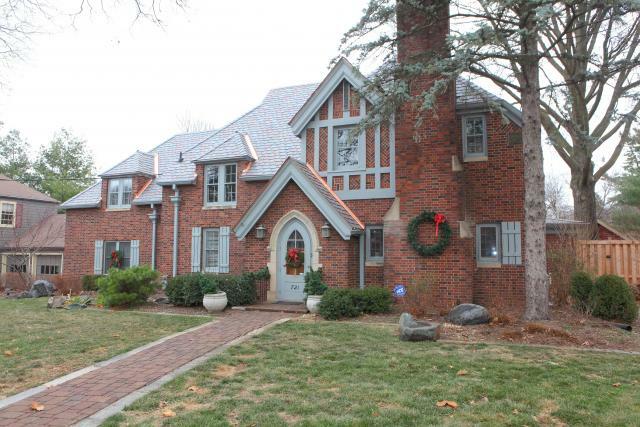 Last fall, the remainder of the slate roof was torn off and our multi-width slate tiles were installed by high-end contractor Brad VanWeelden Company out of Des Moines, IA. Click here to read an interview with Brad and find out what he has to say about DaVinci.